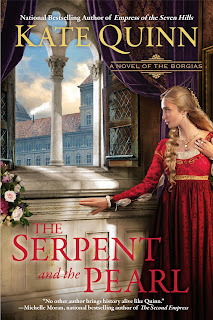 HF BOOK MUSE- NEWS: THE SERPENT AND THE PEARL - Review + Giveaway!! The 1490’s- Giulia Farnese, with her trademark long blonde locks that flows seductively to the ground- but her mane is not the only thing overflowing in gold…so is her heart. Giulia is not only kind and loveable, she is young, exquisitely beautiful, exuberant and very clever. That’s why at first it’s quite incomprehensible that this madonna would fit the role of Pope’s Mistress…and a Borgia pope at that! Even if not by choice initially (she slaps the pope- yikes! ); the fact remains that Giulia does fall madly in love with His Excellency. And honestly, no matter how detestably history has depicted Rodrigo Borgia, somehow Quinn manages to portray him as likable (even romantic!). Giulia has eyes only for him. Distorted relationship maybe, but I soon became fascinated with this fresh approach to the Borgias (had to keep reminding myself that these people were warped!) Either way, thanks to the adorable Giulia, I indulged in the romance and became a partisan for their cause (at least throughout this book!). Finally, whether people shunned or loved her- Giulia’s heart never swayed when it came to helping (even saving) others. Indeed, being the pope’s favourite did give her immense clout. She was also a doting mother to her daughter (Wait! Who’s the father? )…Oh yes, you should know that Giulia was married to another in order to become the Pope’s mistress…Very complicated, but everyone is ok with this, especially the groom’s mother- huh?? Did I mention distorted?? Oh but somehow this incredible story is so addicting! 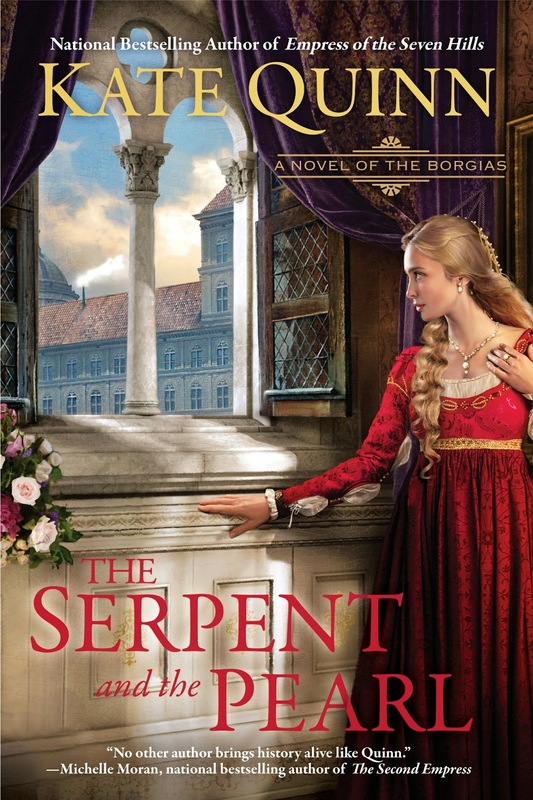 In The THE SERPENT AND THE PEARL, we take a tour through the Borgia’s lives- meeting and adoring the young Lucrezia. 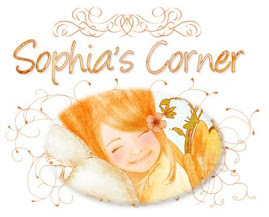 And besides meeting Cesare and Juan (ok, these I still detest), Quinn introduces new characters such as Leonello (the dwarf/ bouncer), and Carmelina (a run-away- chef with a story; whose recipes make your mouth water!). The story has several moments of turn-blue suspense mixed with rawness and visceral intensity; digging into the ensnaring character’s brutal essence- this, my friends, is classic Quinn at her best. I literally still am hanging from the ending and cannot wait to read the sequel: THE LION AND THE ROSE, which comes out this January. Fall in love with Madonna Giulia and read about the Borgias like you’ve never read before. THE SERPENT AND THE PEARL is Exquisite and I promise that you won’t be able to put this down! -You Must be a Follower of this Blog. - Please leave your comment and tell us what is your Pet Peeve in Books (you can read Kate Quinn's post on her Pet Peeve HERE. I missed the catpha on my pet peeve post: I hate books that end too abruptly or wrap up too quickly. I agree with Kate, I can't stand when the heroines are all drop-dead gorgeous and their men are all impossibly handsome. Not to mention, how come in books just about all the heroines are not only beautiful but also slender?? Not a chubby charmer to be found. I become a bit frustrated when an author throws in too many foreign phrases that cannot be readily understood through context. my all-time pet peeve is when i see misspelled words; most recently, a book i was reading had mixed up a character's name right at a pivotal moment!! I hate it when authors have a central female character be a helpless dimwit and I hate it when books abruptly end (non-series books) and don't wrap up the story satisfactorily. Looking forward to reading her latest!! Lara, I hate to break it to you, but this book does have a *somewhat* abrupt ending. That's because it was written as one long book - too long for one volume, unfortunately! So it was split in two. But the good news is, the second half comes out in just three months, so there won't be long to wait! Why does the heroine always have to hate the hero for no reason? I read a book recently where the hero spoke to the heroine for the first time and she was rude to him. Never met him so she had no reason to dislike him.